Pretentious Musings of a Meet Green Martyr: Is Our Meeting Sustainable? If you are attending the Living Future unConference 2014, relax we've got you covered. Even before you made plans to attend, The Living Future Institute conference organizers and MeetGreen team were on the job, planning an environmentally-responsible event. The first step was choosing a Green Seal and Green Key Certified hotel, the Hilton Portland & Executive Towers. The hotel is in a walkable community with access to mass transit from the airport, local shopping and dining. It is not enough to select the hotel and hope all of the green initiatives are in place, the team must also verify these practices before the event begins. So yesterday, one day before the unConference 2014 was set to begin, we took a back-of-house tour where we saw all of the systems in action and breathed in the sweet smell of composting material. It must be said all of these sustainable efforts take place at a downtown hotel with less loading dock space than most people's back decks. 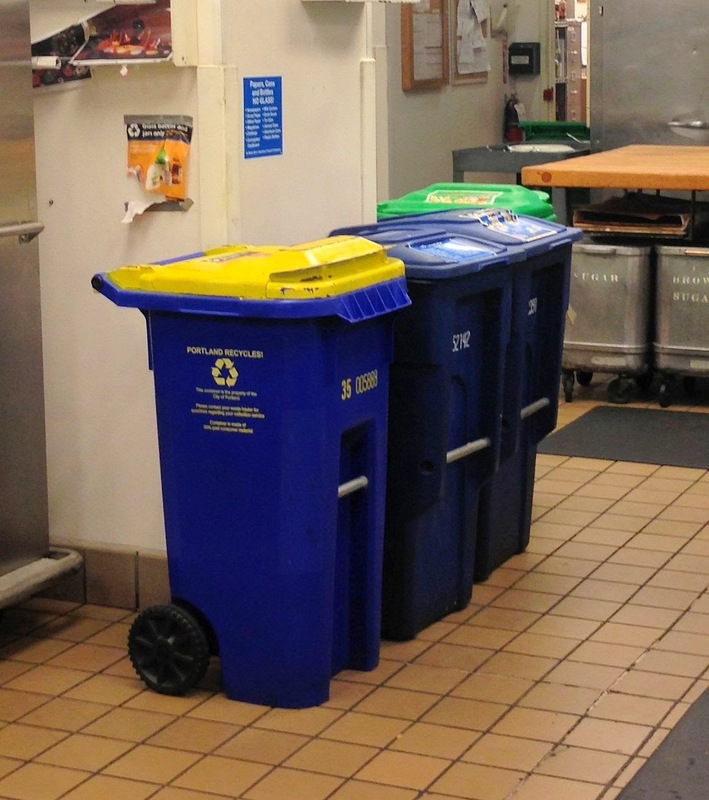 It is a 24-hour process to bring compost and recyclables from the five kitchens in two buildings. So check-in, grab your name badge and rest easy, we've done the heavy lifting for you. Stay tuned for the 100% local or organic food to be served. It will be a first in our experience!